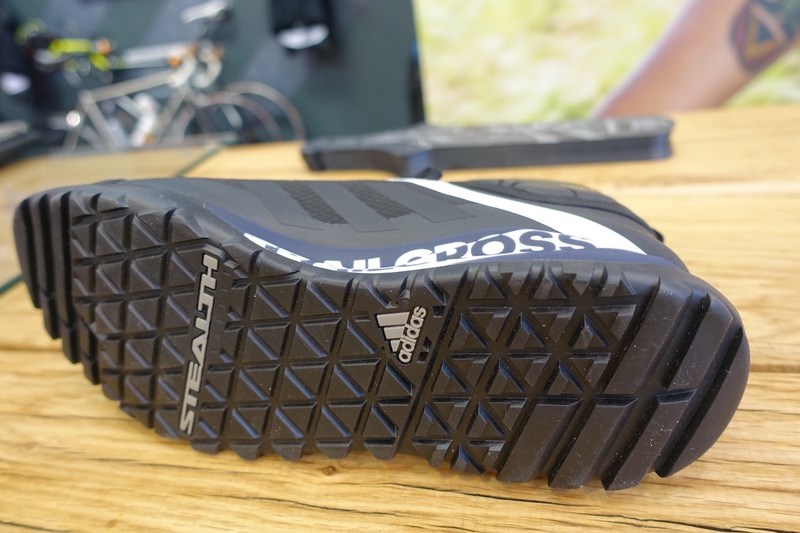 Sporting giant Adidas has a history of dabbling in the art of producing soft goods for mountain bikers, but for 2017, it’ll be stepping up its range considerably. 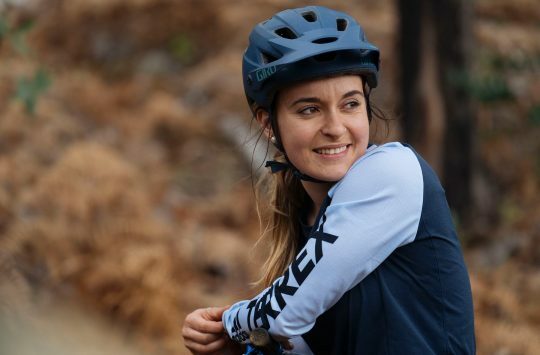 Offering baggy shorts, lycra jerseys, tech-tees and long sleeve riding tops, Adidas will be broadening its dirt-friendly line alongside its comprehensive road cycling kit. 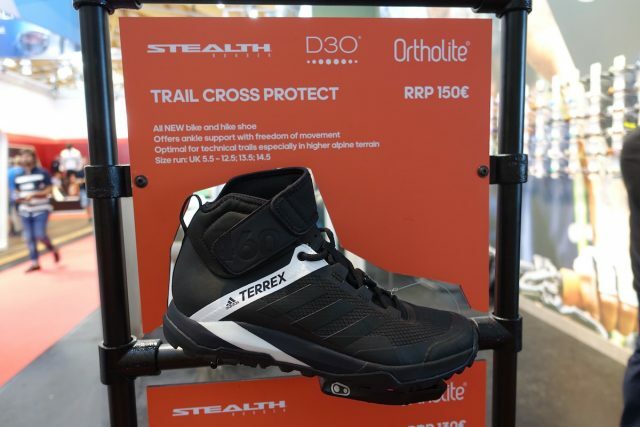 One of the new products that Adidas was showing off at Eurobike was the Terrex Trail Cross flat pedal shoes, which are available in two different styles. The Terrex Trail Cross is a flat-pedal mountain biking shoe from Adidas. It’s designed as a lightweight and breathable shoe that offers grip both on and off the bike. 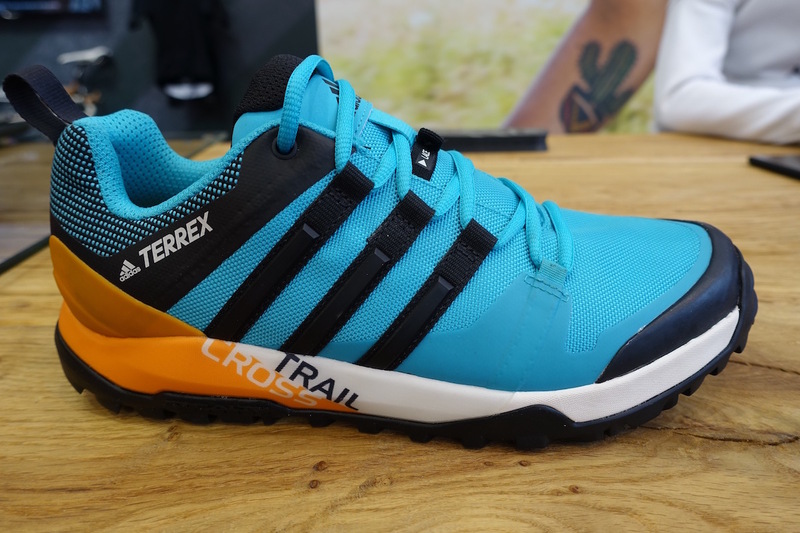 There are two colourways in the Terrex Trailcross shoe, including this snazzy endooro blue and orange colour. 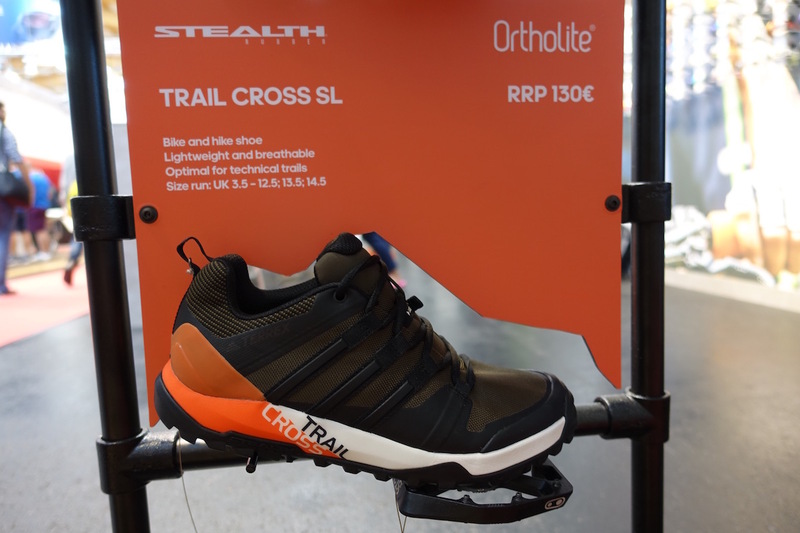 The Terrex Trail Cross shoe almost looks like a trail-running shoe, with breathable mesh throughout and a lace-up design. Definitely on the lighter side compared t Shimano AM7’s or 5.10 Impacts. 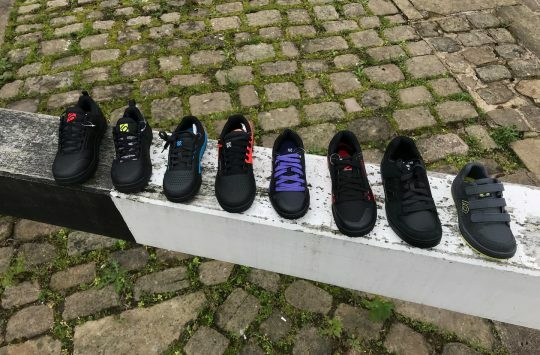 Chances are though that these kicks will appeal to new riders to the sport, who want to use flat pedals but are maybe turned off by the moto-style used by many other flat-pedal shoes. 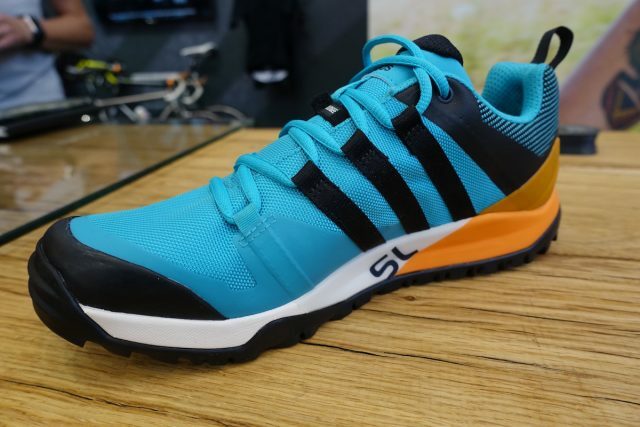 These will blend in with your activewear much more seamlessly. 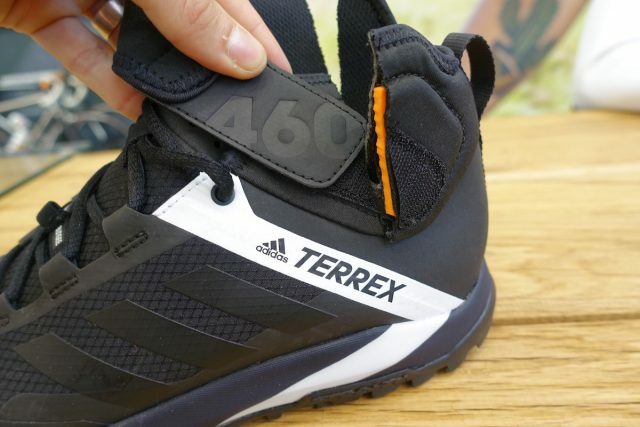 Adidas own 5.10, so it’s no surprise to see sharing of technologies, including the Stealth rubber employed for the Terrex Trail Cross sole. In an effort to improve off-the-bike hikeability (it’s a word, trust us), deeper tread blocks are used on the heel and the toe, so you’re less likely to slip and slide when hoiking your bike. Sticky Stealth-y goodness. Combined with flat pedals with pointy pins, these should be nice and grippy. 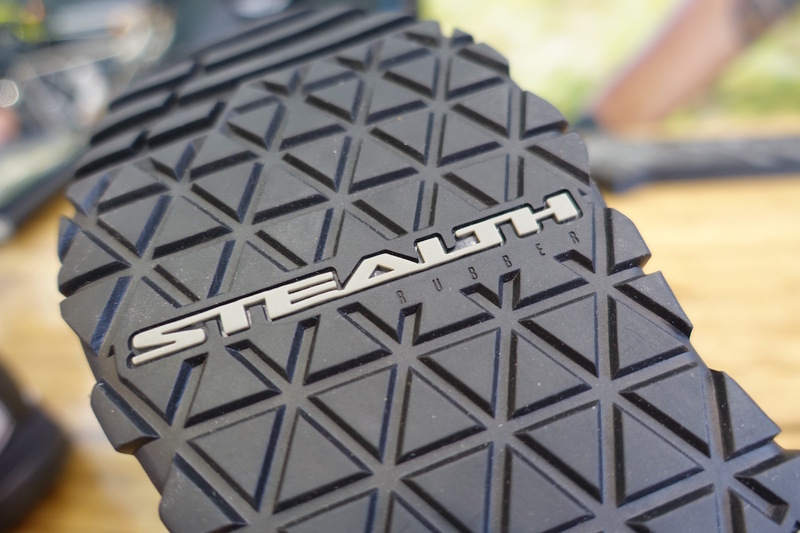 Also designed for flat pedals, with a slightly reinforced sole that feels much stiffer than a regular walking/hiking shoe. 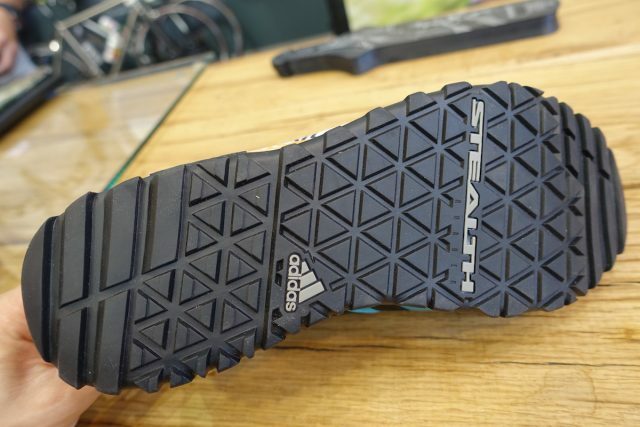 Same grippy sole tread pattern as the regular Terrex Trail Cross SL shoes. Ready to shoot some hoops after your mountain bike ride? 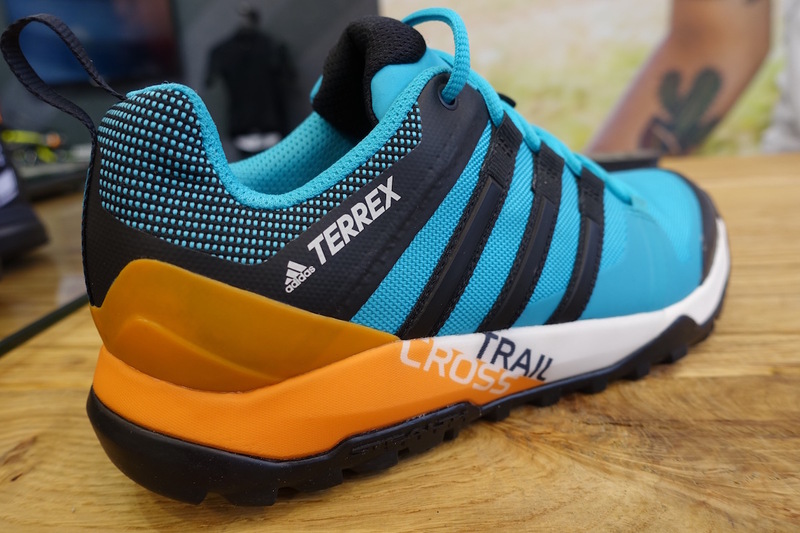 The Adidas Terrex Trail Cross Protect is the perfect option! A ‘Slam Dunk’ if you will. 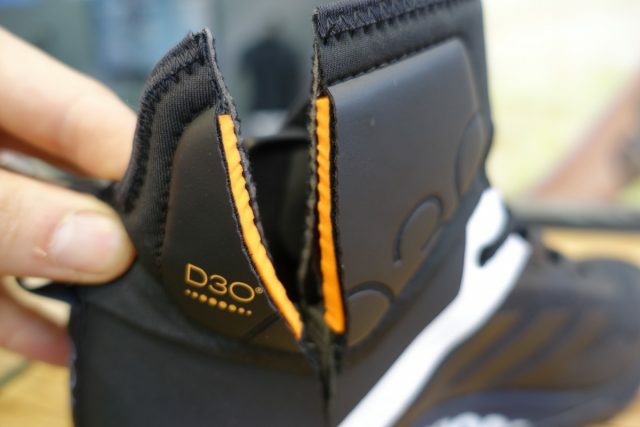 High-tech D30 padding is used around each side of your ankles. 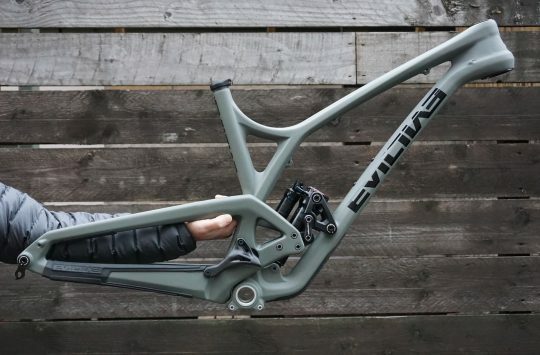 This is ideal for offering protection against banging your feet into your crankarms, or just general impact damage when you’re flying towards rocks during an over-the-bars excursion. With the high-top design, the Terrex Trail Cross Protect gets an additional velcro strap to keep the shoes locked down. 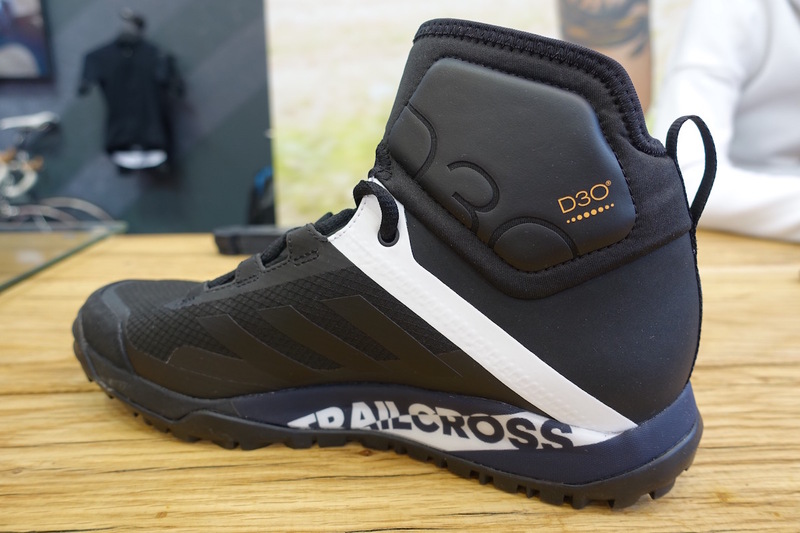 Already got a pair of the Trail Cross SL’s, they’re not new but they are great shoes. 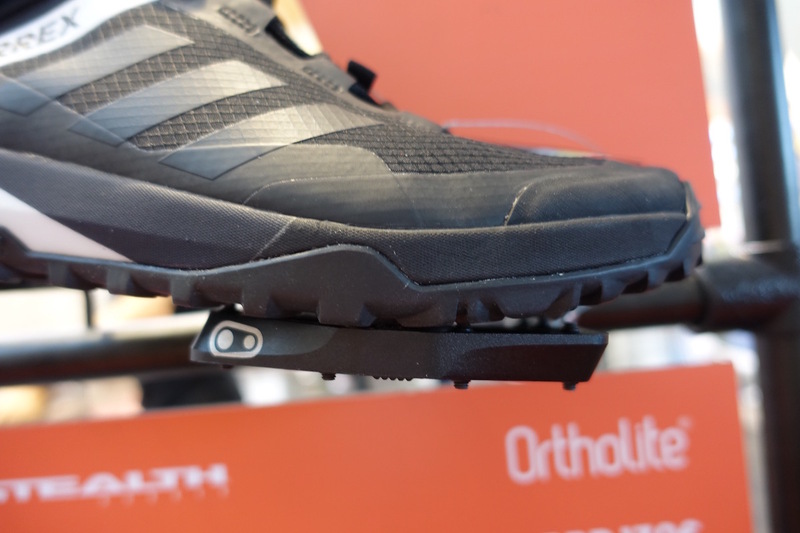 I use mine as an everyday trainer and they’re superb if a little hot!